Your mobile customer is everywhere and anywhere. They can engage with your brand from traditional media to store displays to social or SMS. The toolbox to reach them during that journey is also vast, and while the digerati focuses on the newest technology like NFC or iBeacons, we often forget about what the user really wants today. This week we added to the ScanLife toolbox with Short URL’s which gives you a simple, brand connected URL that can be used virtually anywhere. Our platform has always automatically generated a URL associated with your mobile experience, but it wasn’t exactly user friendly (here’s an eye test example http://scn.by/9t9ab0htw8jzhf). 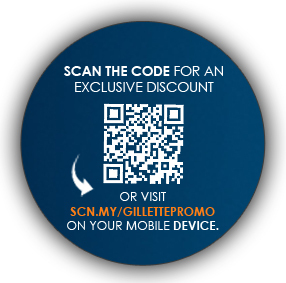 But now you can link that same experience to something much easier for the user like scn.my/gillettepromo. The Short URL has all of the same functions as before so you can edit the target experience whenever you want, you can link it to any of our 15 different mobile actions, and you can track all metrics through our reporting dashboards. What else can you do with this? So think big and think about your customer at that point in the journey. Now you have another tool to deliver a great mobile experience. Interested in getting access to this feature? Email us to get started. 3 Responses for "Short URLs: Made for Mobile"